Why isn’t the title Redstone++`? Surely, you can put a plus sign in mod titles, right? Curse didn't let me type that in. I'm not really sure why. That’s odd. Maybe it’ll work now. You could try changing it so that the title is true to the mod’s actual name. 😉 I think I’ve seen mods with a plus in the name here on CurseForge before, although I could be wrong. Even if it doesn’t work, though, that’s fine. It’s not a bad title nonetheless. I can't remember the exact message, but it's something on the lines of: I can use a + in the title, but Curse dosen't add it to their internal lookup database thingy. So because there's a mod call "Redstone", "Redstone++" gives a duplicate name error. At this point, it been like this for so long, that even if I could change it, I'd rather just leave it the way it is, to prevent any confusion. Oh, that certainly makes sense. Yea, an update for 1.13 or at least 1.14 will happen, but it'll be a while. The module identifies as "Sandro's core" in MultiMC and it doesn't play nice with JEI. EDIT: Well, it's not directly just Redstone++, it is some weird mix of mods I'm using, probably, since I couldn't reproduce it in a standalone instance of Minecraft with just Redstone++, Charset, LogicGates and LogicWires. EDIT2: It happens when liteloader is installed, it crashes when I enable Redstone++ and works fine when I disable it. I¨'m filing an issue, and I'll add my MultiMC config in a zip file. Yep, that bug is on LiteLoader's end. There is no way I can fix or work around it. You'll have to bug them about fixing those issues with registry overriding...or roll back to MC1.11.x (ver1.2d), since the substitution is handled differently there. There is nothing special about Redstone++'s config file, it's the same as any other mod. The exact location of you minecraft folder will vary based on you OS/install. Once you find it, all your config files, for all the mods will be in there (assuming you ran the game at least once). The file your looking for is called Redstone++.cfg; edit it with Notepad/Notepad++/TestEdit/Vi/ee/or whatever. The setting for push limit is under the piston module section. After you've made your changes, save and restart the game. Idea: a block that can be used to add structure to slime block machines, but don't contribute to the push limit. The more blocks a piston pushes, the more lag they will cause. I'm assuming you don't want the player to be able to create lag machines by simply placing 1000s of said block in front of a sticky piston? However, I was experimenting with a weight system, where a block like wood(or maybe slabs? ), for example would only count as say half a block. how do i edit the piston push limit? this mod is SO GOOD!!! 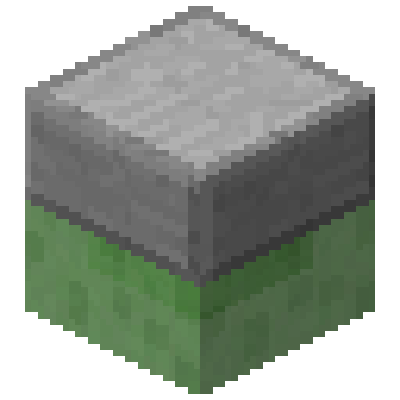 but if you just pls add a stair with slime and slime with stair and also the same with the redstone it will be so good!!!!! I will at some point; well prolly a 1/4 Slime Block, and a 3/4 Slime Block; same with redstone and obsidian. Being able to make them using different types of slabs prolly won't happen. As it stands now, I see no good way to do this without using a TileEntitySpecialRenderer, which would be way overkill for these blocks. Don't expect anything soon tho, right now I have this project on hold, pending at least a beta of Forge for MC1.13.